Our Disneyland 2-Day Itinerary is a touring plan consisting of what attractions, shows, and dining we’d do with 2 days in the park. This itinerary is our efficient way to experience all of the, what we consider, Disneyland essentials. Our Disneyland 1-Day Itinerary focuses on our favorite parts of the park and is an extremely busy itinerary that would be extremely hard to complete. What the 2-Day Itinerary affords is a chance to take a more leisurely pace, while still experiencing everything we recommend. With that said, we still don’t include every single attraction in this itinerary as there are some that should be skipped. Even with 2 full days in Disneyland, there is plenty to do there that will more than fill the time. If you are looking for an itinerary to other parks, click here. As I mentioned above, having the extra day won’t necessarily be used to get every single attraction in. Rather this gives guests a chance to experience our favorite aspects of Disneyland for a longer amount of time, see more shows and do a few more attractions. If you do enjoy riding attractions more than anything else, than check out our Disneyland Attraction Rankings to prioritize what to do first. Adding an extra day at Disneyland is something we recommend, hence the inspiration for this post. There are so many quality shows, attractions and lands to enjoy that experiencing it all in one day is next to impossible. Two days certainly helps in that but there are many times at the end of our trips where I wish that I had gotten to do just a little more. With that in mind, this itinerary still has you in the park from opening to close both days. While the pace is more leisurely than the 1-day itinerary, this will still be tiring. If you have a small child with you, adjusting the itinerary to fit in a mid-afternoon break is probably smart. All of this is made easier by staying at a hotel close to the parks. Disneyland Hotel, Grand Californian or a cheaper one across the street on Harbor Blvd all fit that bill. There are so many factors in a vacation and theme park day that I can’t really account for. Crowd levels fluctuate throughout the year and that can be a big factor in the number of attractions you can accomplish, as is the size of the group you are traveling with. This itinerary assumes a group is going without MaxPass, opting for the traditional paper FastPass route. MaxPass may save you a few minutes and is definitely useful during the busier times of the year although I’m not sure if it’s worth the cost. As always, if you have specific questions then please leave us a comment below. My best advice in this general touring plan is to loosely follow the plan while also keeping a sense of exploration. While Disney World has become a place where it benefits to follow a schedule, Disneyland can still play for those who want to be a little more spontaneous. Let’s get to the plan! Our day one plan will generally follow the morning plan we set out in our 1-day itinerary. In this case, that includes getting to the Disneyland gates about 10 minutes before the park opens. If you want to be earlier, go for it! That would probably be beneficial but I like sleep. Depending on your ticket, you may have early entry to the park and I recommend using that if you do! Considering it’s the first day, this day’s plan will be ride heavy. With that in mind, we recommend having a grab-and-go breakfast. That could be as simple as packing a few items or stopping by the grocery store before your stay or grabbing something at Starbucks, McDonald’s, or whatever your hotel has. In short, we won’t be including eating breakfast inside the park on this day. 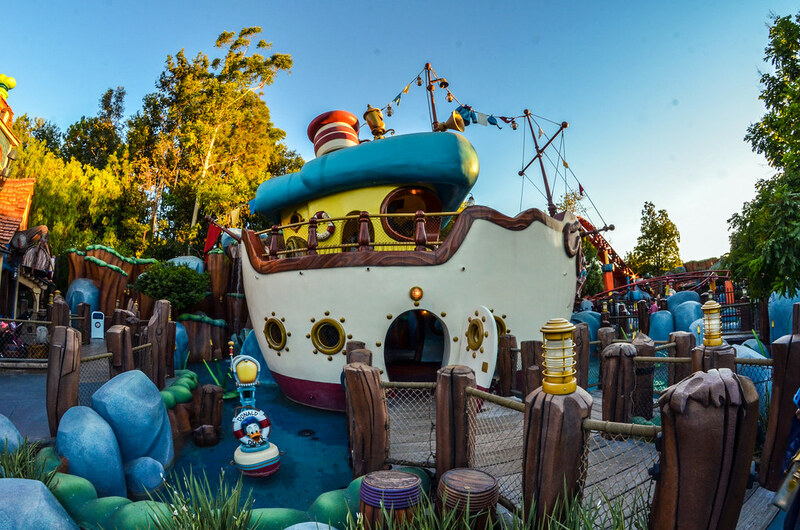 As the park opens, make a beeline to Peter Pan’s Flight for some classic Disneyland fun. Even with this being your first attraction, there is a decent chance that you’ll have to do some waiting here. As long as you are at the park before opening then it shouldn’t be too bad. 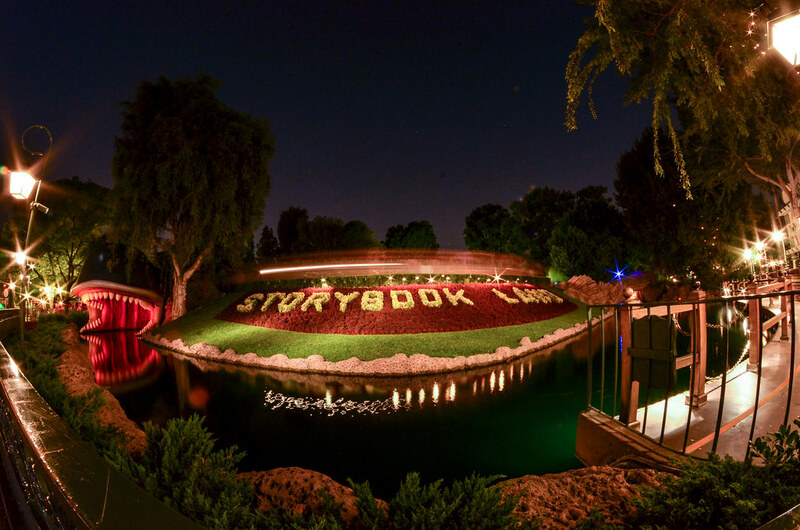 After flying over Neverland, the goal is to do as many popular Fantasyland attractions as you can. 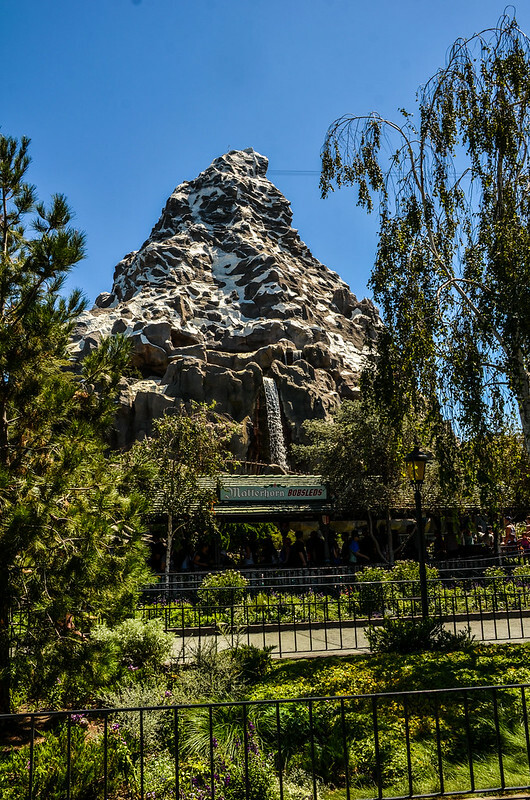 Although it doesn’t match up with our FastPass guide, get a FastPass for Matterhorn Bobsleds and do other attractions while you wait for the window to open. It shouldn’t be a long wait but I’d recommend trying to squeeze in Mr. Toad’s Wild Ride, Alice in Wonderland and Storybook Land Canal Boats. If the wait time for any of those is over half an hour then skip it because you’ll be back later. After Fantasyland, take the short walk back to Toontown. The main reason we head back here is for a ride on Roger Rabbit’s Car Toon Spin. While we aren’t fans of Toontown, this attraction is a classic and well worth experiencing. If the wait is over half an hour, use a FastPass here. If not, just go with the standby line. After that, experience Toontown at your own leisure. There are several attractions to climb around on and some fun interactive gags throughout the land. After you have had your fill on Toontown, head towards Critter Country to grab a FastPass for Splash Mountain. If the availability is gone or limited then grab a FastPass at Big Thunder Mountain Railroad instead. Along the way, grab a snack! 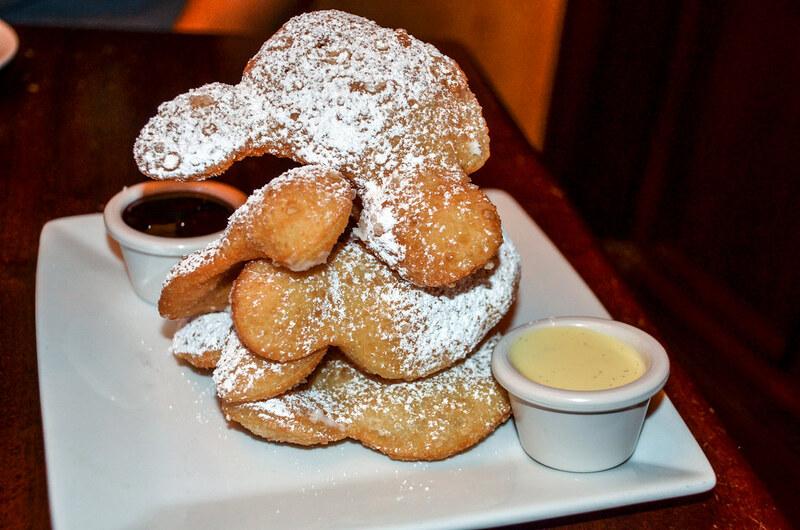 We recommend the beignets at Mint Julep Bar or a bakery item from Jolly Holiday Bakery. We continue our run of attractions with Pirates of the Caribbean and Haunted Mansion, both of which are in New Orleans Square. While these are some of the finest attractions that Disneyland offers, neither tend to have long lines due to their large capacity. If either do happen to be over half an hour then skip it and come back later. 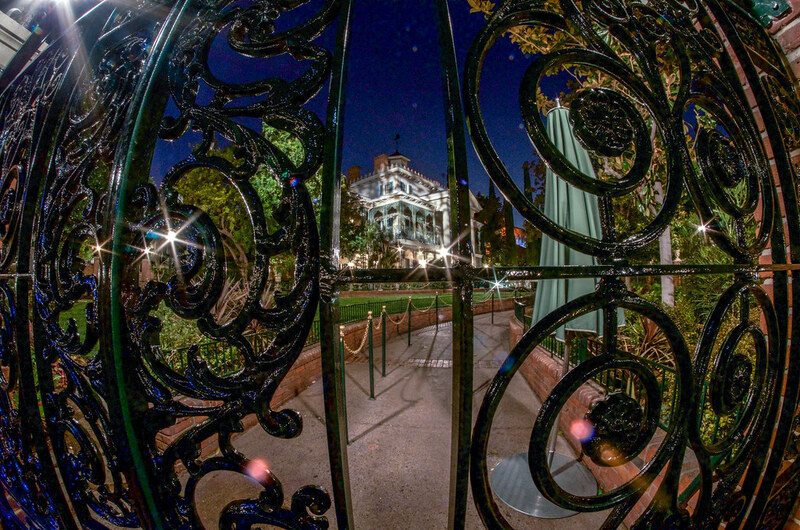 While in the area, get your first look into the alleys of New Orleans Square. 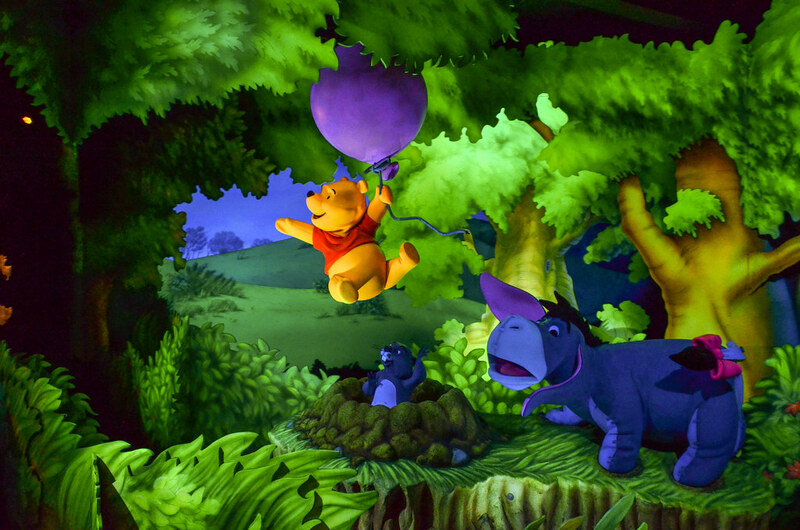 Once done with those attractions, take the short walk over to Critter Country to ride The Many Adventures of Winnie the Pooh. While it doesn’t measure up to the previous two attractions (or any of the others the morning’s itinerary has included) it is a fun little dark ride. If you are a Splash Mountain fiend then this would be a decent time to go for the single-rider line even if you did get a FastPass. After that whirlwind of a morning, it’s time to relax for a bit. What better place to relax than lunch along the Rivers of America. Cafe Orleans is one of our favorite places in Disneyland and an affordable table-service option. For something slightly more iconic, lunch at Blue Bayou is another good choice. The atmosphere can’t be matched at Blue Bayou but the food doesn’t quite live up to the over-inflated prices. French Market is in the same area and is an excellent counter-service choice with an atmosphere almost equal to Cafe Orleans. After lunch (or possibly before) your FastPass window may be up. At this point in the day, not everything will be available for a FastPass. Follow our FastPass guide in where to go next, but also use common sense when it comes to your current location – don’t cross the park just to get a FastPass. After lunch we continue to slow it down a bit so that food can settle! After all the rushing around in the morning, there’s hardly been a chance to look at Sleeping Beauty’s Castle. This is a good time to get a look around the castle and it’s hub. If the Sleeping Beauty Castle Walkthrough appeals to you then this is a good time for that. Head back up Main Street after you get your fill of castle photos and selfie’s. Great Moments with Mr. Lincoln is an unheralded Disneyland classic. That’s where we’re headed next. Give yourself a few minutes to explore the gallery that doubles as a queue. Some of the artwork and models are breathtaking as is the classic attraction. After the attraction take a quick jaunt up to Main Street Train Station and catch a full circle ride on the Disneyland Railroad. Once you’re off the Disneyland Railroad, head back down Main Street and hang a left towards Adventureland. Our last bit of slowing it down comes way of Walt Disney’s Enchanted Tiki Room. Go inside the queue for the attraction, grab a Dople Whip Float and enjoy this classic. Along with all of these slower rides, keep your FastPasses going if applicable. The next three steps could be moved around depending on the time of year. One of our favorite places in Disneyland is the walkway along Rivers of America. That’s where we’ll be taking in the sunset tonight. 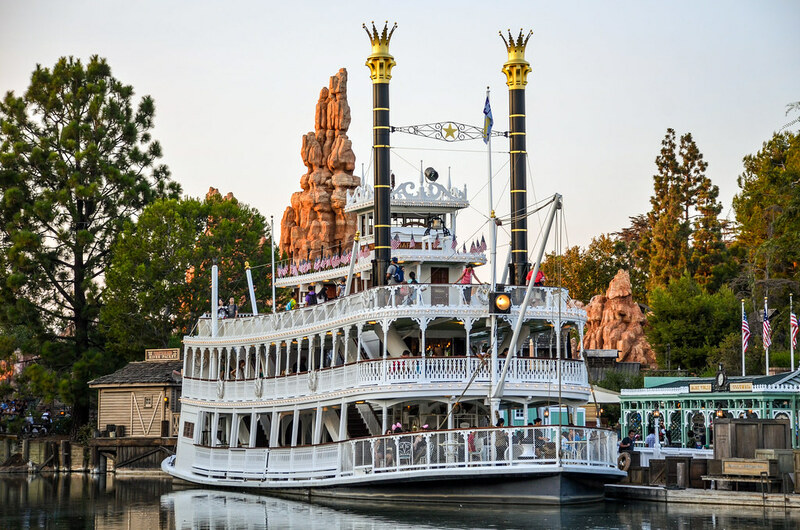 Actually, we recommend a ride on the Mark Twain Riverboat during sunset with a stroll around river preceding the boat ride. There is nothing more peaceful in Disneyland than a sunset cruise on the Mark Twain. 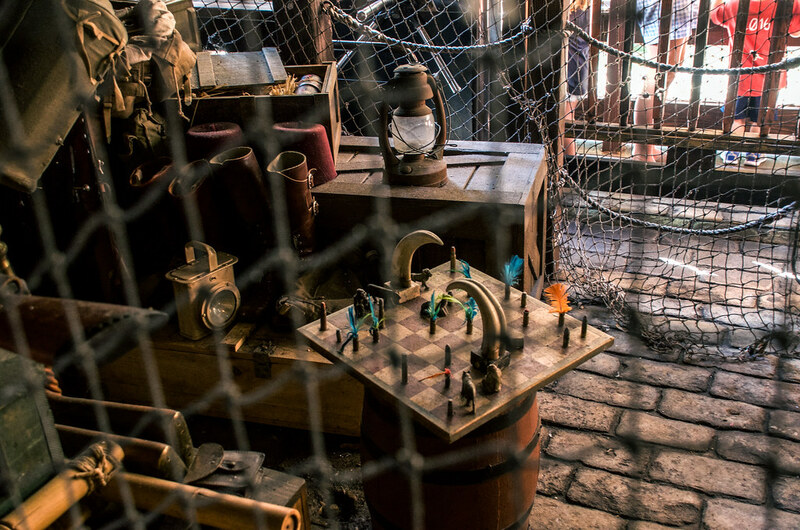 If you were ahead of schedule in this itinerary and made it to this part of the itinerary by late afternoon then consider exploring Pirate’s Lair on Tom Sawyer Island. This is a fun area to explore and a nice way to spend an afternoon. There are many paths to explore and fun bridges and little playgrounds to enjoy. Come dinnertime we’ll stick around Frontierland for dinner at Rancho del Zocalo. I enjoy this Mexican counter-service spot, which isn’t extremely authentic but does offer good food at a solid price. I like the Carne Asada and Enchilada Platter. If this doesn’t appeal to you then Red Rose Taverne or Hungry Bear Restaurant are other solid counter-service options close by. 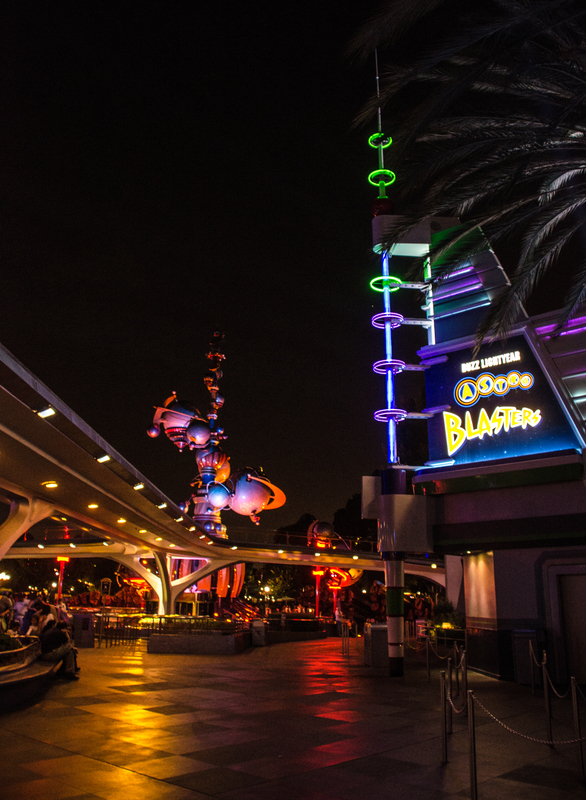 There are several attractions throughout Disneyland that we prefer at night as opposed to during the day. We’ll do a couple of attractions each night. For night one, we’ll stay on the Frontierland side of the park and go on Big Thunder Mountain Railroad and Jungle Cruise. 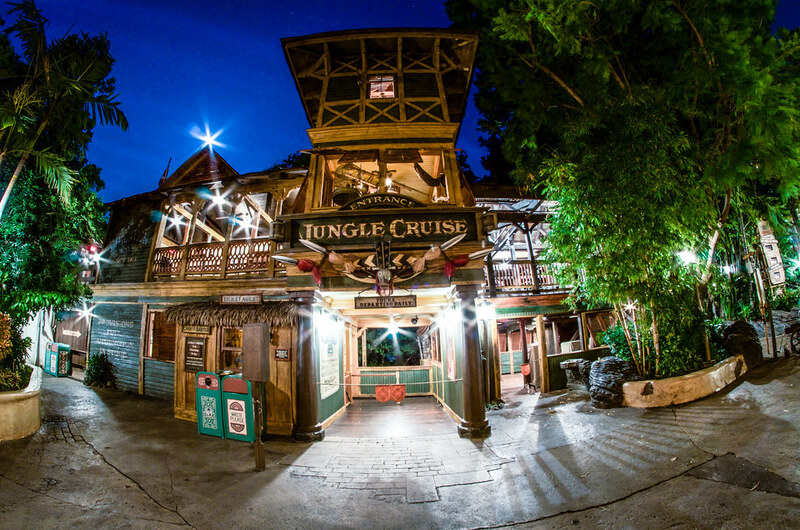 Both attractions are excellent any time of day but take on a whole new experience at night. If the wait time is much over half an hour then you can skip an attraction here but hopefully you’ll be able to fit in both. Following your nighttime thrill rides, head back to the river. 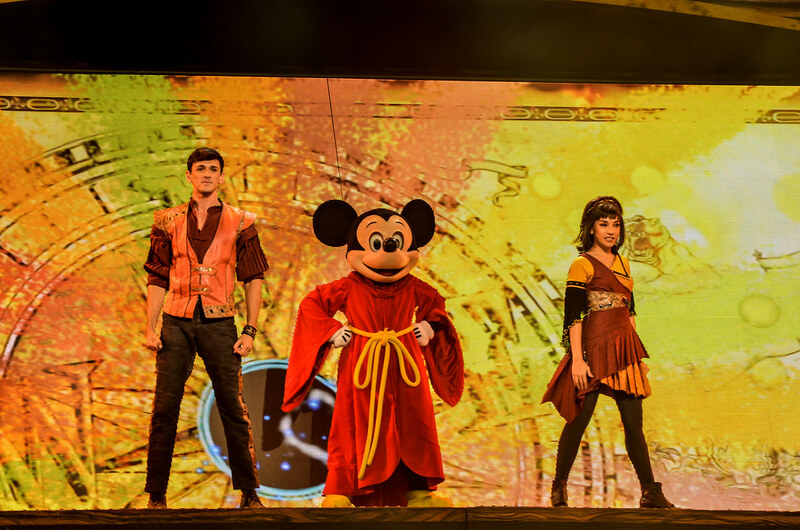 It’s time for one of the best nighttime spectaculars in any Disney park – Fantasmic! Watching the show along the river is pure bliss and you’ll want to arrive early to get a good spot. The show is not to be missed. After Fantasmic! it’s time to head back to Fantasyland for a few more nighttime rides. Enjoy Dumbo, Mad Tea Party, Snow White’s Scary Adventure, King Arthur’s Carousel and Pinocchio’s Daring Adventure along with anything you missed in the morning. Don’t worry if you run out of time there, we’ll be back again tomorrow. Head back to the hotel or to Trader Sam’s at the Disneyland Hotel for a nightcap. The second morning starts with a race to Space Mountain. Grab a FastPass for the attraction and get in the standby line so that you can ride it twice. After a ride or two through Space Mountain, we’ll work our way through the rest of Tomorrowland. Use FastPasses along the way at either Buzz Lightyear Astro Blasters or Star Tours – the Adventure Continues as you head towards Finding Nemo Submarine Voyage. Getting all of those attraction done in the first few hours is the goal and should be easily accomplished as long as you are at the gates before opening. Before breakfast (our next step), grab a FastPass for Indiana Jones Adventure. The second day at Disneyland could be called a culinary tour along Main Street. That starts with a breakfast at Carnation Cafe, a table-service restaurant with very moderate breakfast prices. Eating along Main Street early in the morning is a beautiful, tranquil experience. Another option here would be to take the Disneyland Monorail from the Tomorrowland Station and enjoy a breakfast at Steakhouse 55 in the Disneyland Hotel. The food there is slightly more upscale, both in quality and price, but the experience will take significantly longer. After breakfast, head back to Adventureland and enjoy two of Disneyland’s best attractions – Jungle Cruise and Indiana Jones Adventure. Hopefully the FastPass window for Indy has opened up and experiencing Jungle Cruise in the daylight is pretty different from nighttime. Just in case your feet aren’t aching, take a hike up Tarzan’s Treehouse while in the area. The treehouse offers some beautiful views of the park. As you finish up in Adventureland, keep getting FastPasses for attraction you’d like to ride again or ones you have missed along the way. This is also titled, rides so good you need to ride them twice. This includes Pirates of the Caribbean, Haunted Mansion, Splash Mountain and Big Thunder. Some of this will have to be done via FastPass throughout the entire afternoon. If there were rides you enjoyed earlier in the trip that I didn’t include up above then add them to the list. After a bigger breakfast, we’ll go for a smaller lunch at the iconic Little Red Wagon. These hand dipped corn dogs are easily the best I’ve ever had and not to be missed. They area also one of the cheaper options at the park. If that’s not up your alley then Red Rose Taverne, a snack cart chimichanga or any of the previous restaurants I’ve mentioned are good options. For dessert head over to Jolly Holiday Bakery and get a Raspberry Rose Macaroon or Matterhorn Macaroon. Both are excellent options although I prefer the raspberry. After lunch it’s time for a few slower attractions that will be mixed in with the following step. 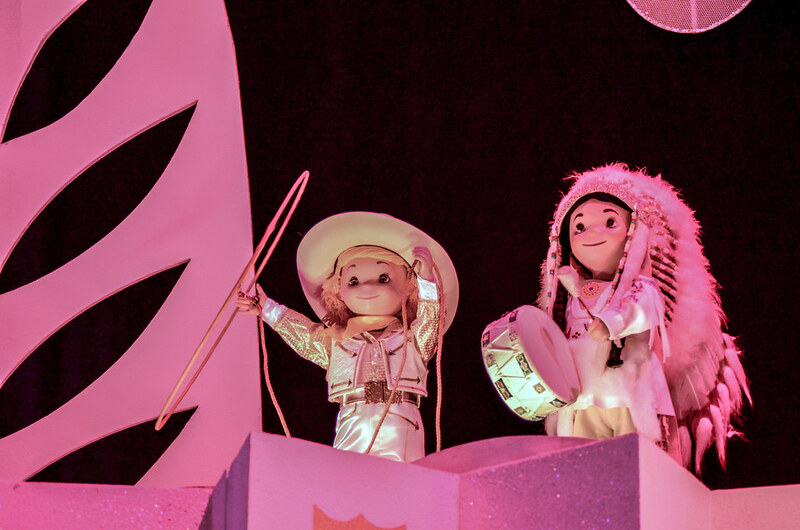 We haven’t made our way down to “it’s a small world” in Fantasyland yet, and that’s a must-do. If the line is over half an hour go later in the evening because the queue is outdoors. Another fun, under-the-radar option is to take the monorail out to Downtown Disney, if you didn’t for breakfast. Last of all, we would recommend Pirate’s Lair on Tom Sawyer Island if you weren’t able to make it there the previous day. Along with the slower attractions in the afternoon, check out a showing of Mickey and the Magical Map and Mickey’s Soundsational Parade. We like both of these options but don’t love them. If you are short on time, then we prefer the show over the parade but the parade does have more novelty. Along with these two bigger entertainment options, seek out some of the streetmosphere entertainment that includes the Dapper Dan’s and any character meet & greets you’d like to do. All of this will make for a relaxing but enjoyable afternoon. The Flag Retreat at Disneyland is one of those hidden gems that is touching and understated. Just before 5 PM each day they lower the flag on Main Street and honor service men and women who are at the park. It’s a nice little ceremony that is authentic and charming. It won’t likely be a top highlight but it also won’t be something you or the rest of your family will forget. After the flag retreat, our day 2 sunset will be coming. We recommend sticking around Main Street and Sleeping Beauty’s Castle to enjoy the glow against the stunning foreground. The view is also beautiful seen from Tomorrowland looking towards the castle. We saved one of our must-do’s for the last meal, and that’s another Disneyland classic – Plaza Inn. While this isn’t the very best fried chicken I’ve ever had, it’s in the top-5 (I like to consider myself a fried chicken connoisseur) and far exceeds ‘theme park fried chicken’ expectations. The entire counter-service restaurant is a vignette into a simpler time, matching the Main Street motif. Other options include ones I’ve already mentioned – French Market or Blue Bayou. 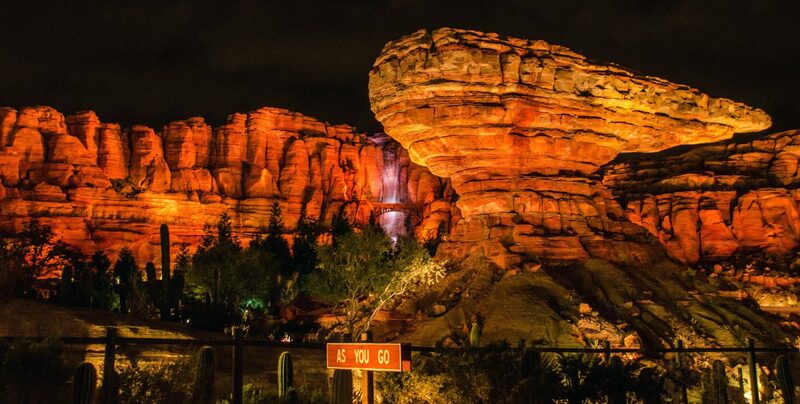 We’ll add to the slew of nighttime attractions we mentioned in day one, adding Dumbo, Splash Mountain (if it’s not too cold), Tarzan’s Treehouse, and Astro Orbiter. While I listed more attractions here, all of these are much easier to get on than the previous night. They also aren’t quite as much fun as Big Thunder or Jungle Cruise so if you prefer just to re-ride then I’d go that route. Disneyland has changed out what fireworks show they are playing often over the last few years. That doesn’t seem to be slowing down so the quality of show you’ll get is entirely dependent on when you visit. If it happens to be Remember… Dreams Come True then you are in luck as it doesn’t get much better than that. Either way, seeing the fireworks on Main Street is a quintessential Disneyland experience and not to be missed. We recommend lining up about half an hour before the show and try to stand in the center of Main Street, just past Plaza Inn and Jolly Holiday. Try to go on a few of your favorite rides one last time. Enjoy the atmosphere in New Orleans Square. Personally, I’d pick option 2 as staring out at the river while the jazz band plays followed by a walk down New Orleans Square’s tight alleys is an exceptional night. You could probably squeeze a couple of rides into that, as well! Take your time walking out of the park and enjoy the ambiance around the castle, as security will let you linger for a while. If you aren’t completely exhausted, another night cap at Trader Sam’s wouldn’t hurt anyone! While this is a busy two days at Disneyland, we think it will make for an exceptional experience. What do you think of our Disneyland 2-Day Itinerary? Let us know in the comments! If you are planning a trip to Disneyland, check out our Disneyland Resort Trip Planning Travel Guide. Thank you for reading Wandering in Disney! If you enjoy what you’re reading please subscribe to the blog and like our social media pages! You can do both of those things on the right side of this page. Have a great day! Hi again, seems I do have another question. It looks like both the castle walkthrough and mr Lincoln will be closed when I visit so I was just wondering if there is anything else you recommend we do mid day. Maybe the Monorail or Indiana Jones? Thanks!! Indiana Jones would likely be very crowded at that point (try to FastPass it during the day). The monorail is a good option and a fun way to see around the resort. You can also just keep an eye on the app and see what has short wait times if you do have extra time.